Quest Dual 155 was designed to be placed overhead and out of the way, but can also be placed at ground level for plug and play operation. 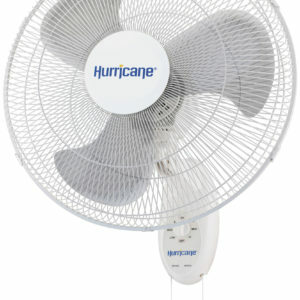 It is designed to be very energy efficient. 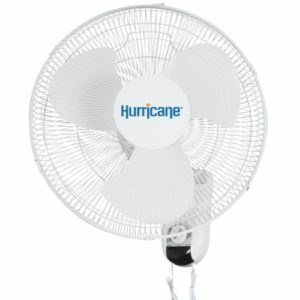 The Quest 155 performs at 7.3 pints per kilowatt-hour. 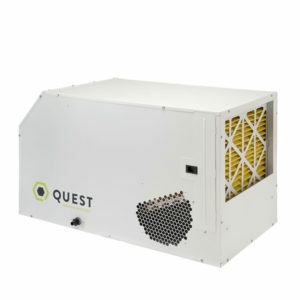 Compared to most standard dehumidifiers (3.8 pints/kWh), the Quest 155 is nearly twice as efficient. The Quest Duals’ horizontal configuration, patent pending dual outlet design and insulated cabinet for quieter operation enable their exceptional performance in almost any application. The Quest Duals are plug-n-play, requiring no installation. Optional condensate pump and ducting kits provide the ultimate in flexibility for the most challenging space restrictions and specialized applications. MERV-11 filtration is standard on these units, capturing particles (including mold spores) down to 1 micron in size. Made in the USA. The Quest Dual 205 was designed to be placed overhead and out of the way, but can also be placed at ground level for plug and play operation. Ideal for home, greenhouses, garages, workshops, and other areas with limited floor space. Can-Filter® has designed and built the Can-Lite™ for convenience and long life. 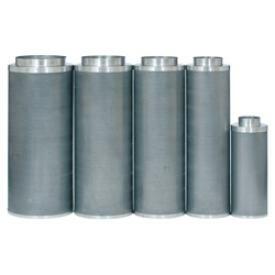 100% Australian Granulated carbon, aluminum top and bottom, integrated flange and 51% open perforation are features of the Can-Lite™ filter.